Cornmeal Idli is a steamed savory Indian cake. Cornmeal Idli is made with cornmeal, yogurt, some spices, and almost no oil. 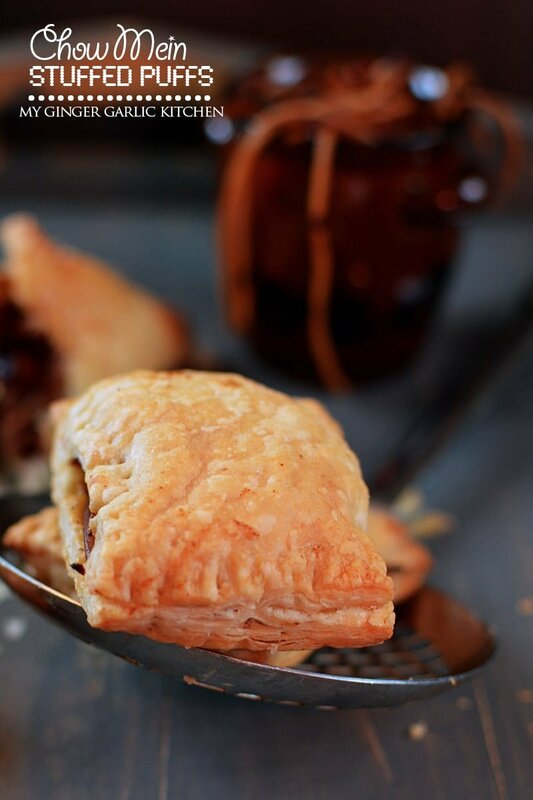 Natural yellow color of cornmeal gives a beautiful tempting sensation to this recipe. 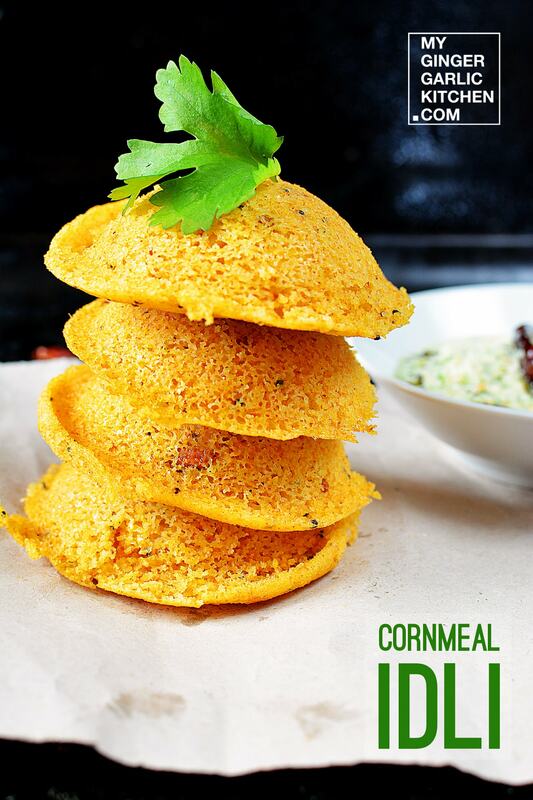 Cornmeal Idli is a perfect breakfast recipe for quick and healthy choice. Let’s learn to make Cornmeal Idli in 8 easy to understand quick steps. Heat oil in a pan. 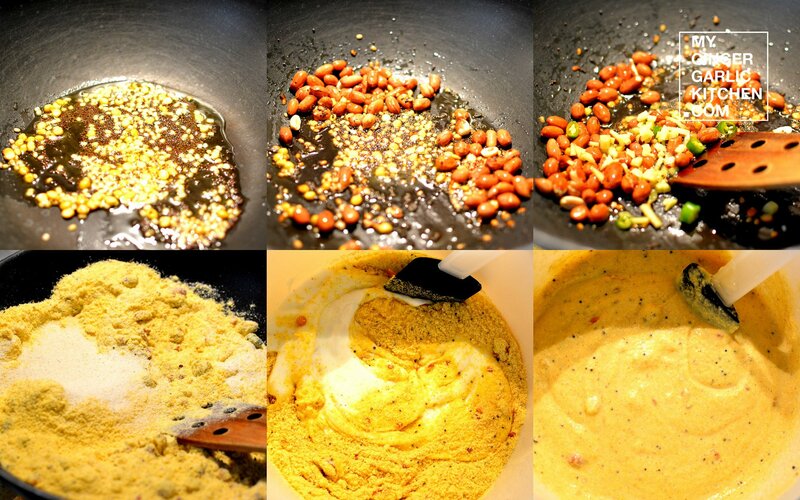 Add mustard seeds, split bengal gram, and white lentils. Fry them for 2 minutes. Add peanuts and sauté for 3 minutes. Now add chopped ginger and chopped green chilies. Sauté for 1 minute. Add cornmeal, and salt to this and roast for 3 minutes. Turn off the heat. Transfer into mixing bowl. Add yogurt and mix well. Add water if needed to make a smooth batter. Cover the bowl, and let it rest for 30 minutes. Add baking soda to the idli batter, and mix gently until it becomes fluffy. 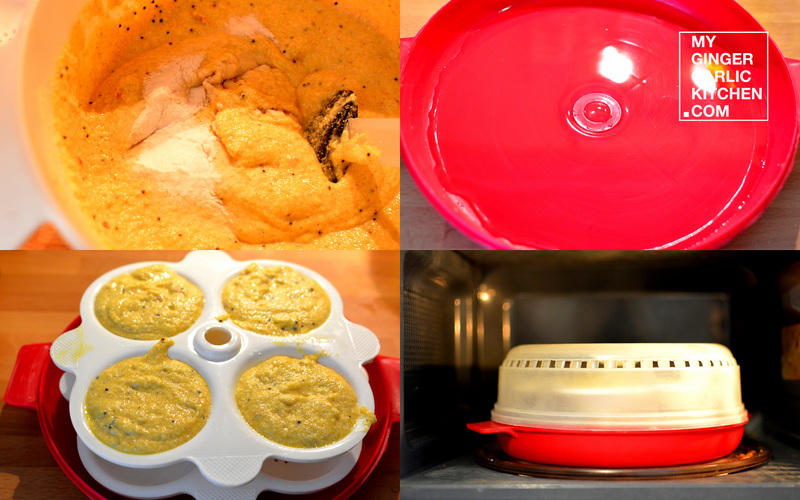 Grease the microwave-safe idli moulds and keep aside. Add the water in the microwave safe idli steamer, and microwave on high setting for 30 seconds. Add 2 tbsp of the batter into 4 greased idli moulds and microwave on high setting for 4 minutes. Repeat this with the remaining batter to make rest of the idlis. 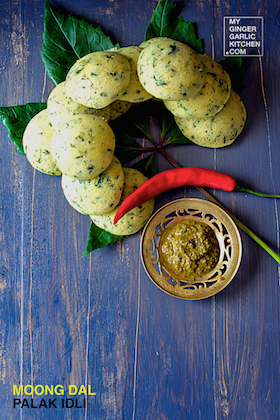 Serve Cornmeal Idli hot with coconut chutney or any other chutney. Enjoy!